Bored of the usual weekday chicken dishes? 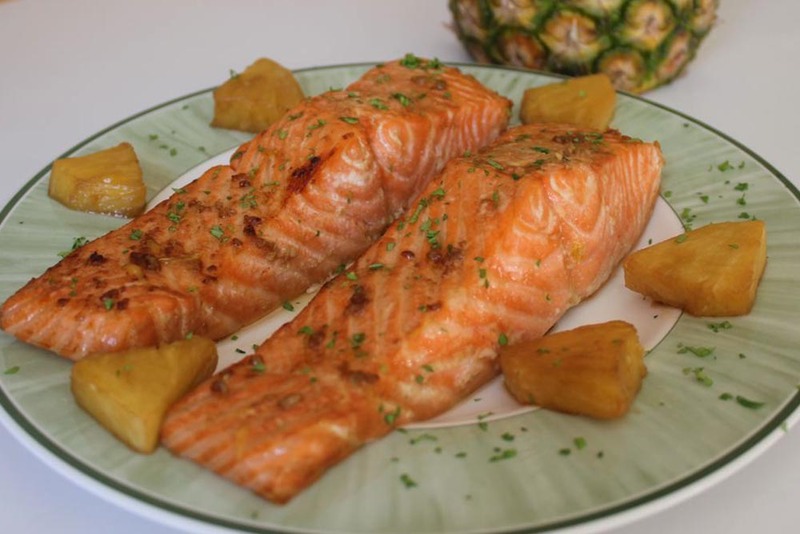 Mix it up with an excellent citrus flavored salmon dish! Combine all marinade ingredients in a bowl and then add the salmon. Marinate in refrigerator for at least 20 minutes. Place marinated salmon and fruit chunks in glass baking dish. Bake for 35 minutes. Plate salmon and garnish with roasted fruit.